Daily On My Way to Heaven: How HONY Has Met Me in my Big Little World. How HONY Has Met Me in my Big Little World. 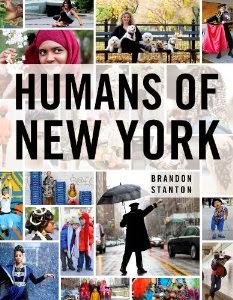 I am pretty sure you are familiar with HONY (Humans of New York). It is amazing that as for this day, the minute I am typing this, Brandon Stanton has 12, 245, 305 people who have liked his page on Facebook and 2.6m are following him on Instagram -and 246k on Twitter-. So, I am not going to explain you what exactly his project is about (if you have no idea what I am talking about, I invite you to go see it for yourself. Instead I want to share what has been going in my heart, what has been stirred up in me as I follow him through his telling of stories. I read the comments and I see, for the most part, common grace overflowing. We all want to do something. People send hugs and encouragement through their comments. People feel like they want to send money (and they do it generously!) to those in need. We all read and wish we could help in a tangible way, so we say a prayer (maybe?). But then we click another key and move on to the next thing, until another of his pictures reminds us that there is a powerful story behind each face, a fight being fought (as the cliché says). And God is there. One of the things that this guy, this Story Hunter, does, is that in a few minutes like a magician, he pulls from the stranger's heart a story that probably no one has ever heard before. And we all hear, we all pay attention, because we love stories, because stories draw us together. But maybe, while thinking that we'd love to do something for these people, we are just being infatuated by stories that are happening far from us. Stories that, as with any fiction book, end the moment we decide to close the book and move on. One of the questions I have as I read these story-pictures is not necessarily how he approaches strangers and draws out those stories from them. My question always is, "What does he tell them afterwards? "What words come out of his mouth after they share their fears, their dreams for the future or the nightmares from the past with him? Just "'Thank you, may I share your deepest secret with millions of people?" I have no idea, but sometimes I wish I could know. So here is where HONY, meets me. There are stories around me. Walking stories. Happy stories and dreadful stories. Dreams and nightmares. Stories that have never been told, that have been hidden on purpose until he comes with his camera and unlocks the treasure chest. But you know what? I haven't taken the time to draw near to them and ask the hard questions. It is easier to feel empathy, and a huge desire to help without even thinking, the woman Brandon Stanton introduced to us through one of his pictures, a woman who lives in The Democratic Republic of Congo, rather than to offer my help to my neighbor. I have the Gospel, Friends. I have Jesus. I know the God who redeems lives, who turns darkness into light. The God who loves resurrection stories. If only I would start looking into the eyes of the lady who does my hair, the woman at the cashier, my next door neighbor, the person that I see at church every Sunday but I don't even know her name. I cannot help all these faces with dreams of their own, but I have other Dreamers, other Faces walking around me. What can I do to bless them? How have I reached out to them? We feel like we cannot possibly trespass some privacy boundaries, and yet this great photographer has done it over and over, and over again, and people respond to him, they are willingly sharing their stories with millions of strangers. They want to be heard. They need to be heard. Maybe we, the people of God, should dare to be more bold, to reach out, to ask. At the end of the day we know what the answer always is: The gospel of Jesus Christ.